Werner, R. J., & Von Joo, L. (2018). From theory to practice: Considerations in opening a new self-access center. Studies in Self-Access Learning Journal, 9(2), 116-134. The Community Learning International Plaza (CLIP) is a self-access center (SAC) that opened in April 2017 at Ryutsu Keizai University, a sports and economics institution without an English major. The CLIP was founded by two lecturer/advisors (the authors of this paper) and one admin. In our development of the center, we learned from and applied past and present theory to fit the needs of our users. In the beginning, the attractive, centrally-located, open air space consisted solely of furniture, necessitating a quick call to action. To do this, we visited other SACs to gather information about the facilities and programs that might be adapted to fit our student population. There were three overarching aims in designing the center. First, we wanted to instill a sense of active learning through various services, such as free conversation on sofas and one-on-one appointments with a teacher (for speaking practice and advising), as well as clear and separate zones within the center. There is a lenient language policy in the SAC, so learners can develop through translanguaging. Next, we have promoted student ownership through developing an orientation program, starting a student club, and planning to hire student staff. Thirdly, we built relationships and an understanding of SALL with faculty and administration through interdepartmental collaboration in hosting visiting students from an American university and preparing a group of student-athletes to teach rugby in English in Indonesia. Finally, we share future directions for the second year and beyond. 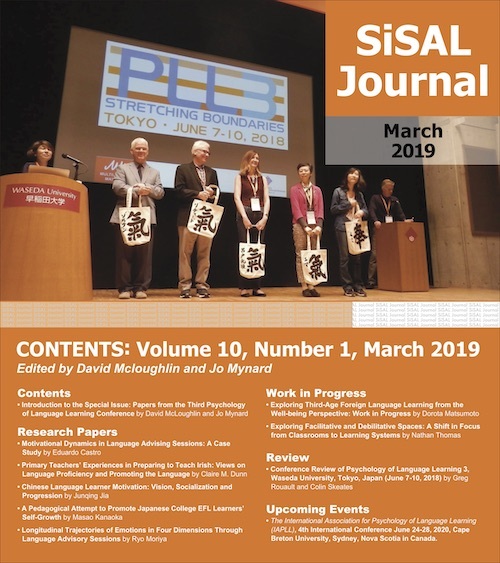 This paper will introduce the Community Learning International Plaza (CLIP), a self-access center (SAC) that opened in April 2017 on the main campus of Ryutsu Keizai University, in Ibaraki prefecture, Japan. Each SAC has a purpose and a set of services designed to fit its environment. This paper will share the theoretical and practical approach utilized at Ryutsu Keizai University in an attempt to add to the growing dialogue of forms a SAC can take. The university has five departments: sports and health sciences, economics, sociology (including international tourism), logistics, and law. There is no English major offered. However, students take compulsory English classes in their first two years and can continue through electives after that. The CLIP was started by two lecturer/advisors (the authors of this paper) and one admin. The admin was transferred internally from a different section, while the two of us were new to the university, having come from Kanda University of International Studies (KUIS) on a contract through the Kanda External Language Consultancy Center. While we had solely been lecturers at KUIS, we both have a strong interest in learner autonomy, and we welcomed the opportunity to create a new SAC. A summary of the CLIP mission statement is: to provide a supportive environment for self-directed learning, support students in taking charge of their own learning, and promote learner autonomy in the university community. All three of us started our current roles at the same time that the center opened, but we arrived after the initial planning had been executed (e.g. furniture, layout, etc.). These decisions were made by university administration in tandem with the building designers, who loosely based the conceptual layout on open space learning (Shimizu Corporation, 2018) and the existing language learning space at the other campus (which opened two and a half years earlier). The operating budget for the first year was extremely low. (The budget was approximately equivalent to the price of three standard iPads, although these could not be purchased with the funds.) Furniture had been custom-made by the building designer and was in place from the start. Since the space had otherwise been completely empty, this money needed to go towards office supplies, decorations, and colored paper, as well as a TV monitor, books, etc. University administrators intended for the space to serve as much of the student body as possible, rather than focusing only on those who would seek out services. Furthermore, they wanted to stress English communication (spoken language) over grammar study or reading and writing. A related goal is to encourage more students to study abroad. An administrator remarked (from experience) that studying in an English-speaking country would transform students’ attitudes towards the language, and they would return with a stronger interest in English scholarship. He felt that a program is worthwhile even if only one participant changes their opinion towards language learning and the world around us. With Japan hosting the Rugby World Cup (2019) and Olympics (Tokyo 2020) in the next few years, promoting internationalization and increasing the number of English speakers is a vital goal. Having a strong sports program, many students realistically expect to compete overseas after graduation and are genuinely motivated to study the language. Additionally, interest in international sports serves as inspiration for our students in a similar way that international food or music might serve as a gateway to exploring new cultures and languages. These motivators fall into both the intrinsic and extrinsic realms for studying language and culture. Ryan and Deci (2000) define extrinsic motivation as doing an activity because of the outcome. On the other hand, intrinsically motivated learners do something because they enjoy it (Deci & Ryan, 1985; Ryan & Deci, 2000). We have encountered a range of students, where some exhibit a clear extrinsic motivation for career advancement and others a genuine interest in the pleasure of learning itself (Csikszentmihalyi, 1975; 1990; 1998). With the public nature of the space and its importance from a PR standpoint, we felt pressure to work quickly to establish services, purchase resources, and make it aesthetically pleasing. In a perfect world, the center would have been student-created from its inception, but we did not feel we had the appropriate amount of time to let this happen organically. In an attempt to compensate for this shortcoming, we visited established SACs and learned about popular services and materials that students had designed, requested, or frequently used. to build relationships and understanding of self-access language learning (SALL) with administration and faculty. We will also list several challenges we faced along the way (e.g. opening as an empty lobby, no student staff or borrowing services) and ways we problem-solved to make things work in the circumstances. In sharing our approach, we feel that we might be able to help others who encounter similar problems in developing a SAC. Finally, we will explore future directions for the center (year two and beyond). In the beginning, the CLIP consisted of four two-person sofas (on opposite sides of two tables), several tables of different shapes and heights, 23 chairs (both low and high), and an empty bookshelf. No learning materials or resources had been purchased, and there were no PCs or other forms of technology. It appeared to be an open lobby, rather than an academic space. This quickly became evident by students sleeping on the sofas or teachers utilizing the empty center as a waiting area before their class’ library orientation time slot. Table 1 lists the features and services established by the end of the first semester, and Figure 1 shows a photo of the space. There are also two areas in the adjacent university library with English language materials (see Figure 2). Carts hold graded readers, magazines, and test preparation books, and there is a wide range of English language DVDs (movies and television programs) on shelves. These resources are marked by CLIP signs, so students can easily locate them. In the first month, we designed a website in order to create an online presence (Rubesch & Barrs, 2014). It enabled students to access some of our services without having to visit the actual center. As we mentioned, the CLIP is open during school operating hours, but it is not always staffed. Therefore, we designed the website to serve as both a resource and a pseudo front desk. It is in English and Japanese, and includes general information, appointment booking (which can only be done online, although we take ‘drop-ins’ if we are available during scheduled time slots), and a catalog with images of the graded readers and DVDs housed in the library. While we knew there was a lot of work to do, we also realized that we did not have to reinvent the wheel. There are already many SACs, including the one at KUIS, where we used to teach, and we realized that we could learn from others and adapt their services or programs to match our students’ levels and needs (low English proficiency, communication focus, and a strong interest in sports). The JASAL Language Learning Spaces Registry (https://jasalorg.com/lls-registry/) was an enormous help in learning a little about existing centers that are within a manageable traveling distance. We were interested in both short-term ideas (what can we implement tomorrow?) and long-term projects (what would we like our center to look like in the future?). Next, armed with a camera, an ever-growing list of questions, and support from our university liaison, we began touring other centers to view the layouts, meet with managers, coordinators, advisors, and student staff, and look for inspiration while learning how their SAC is organized and run. Some of the questions we asked pertained to: popular and unpopular programs, resources borrowed or used the most, how student orientations are handled, and how the center evolved from the first year to now. The full list of questions can be seen in the Appendix. The Speaking Program (adapted from Worth, Fischer, Fritz, & Moore, 2017), which we observed in two of the SACs we visited, is an example of a service that we felt could be useful for our students. Each level consists of eight stand-alone conversation topics based on CEFR-J and is intended to help students who wish to make an appointment with a teacher but do not know what to talk about. (We only offer the lowest level at present.) Students are free to choose any topic, and they can cover them in any order. Each worksheet provides key vocabulary, grammar, and question cues to review before the session, followed by a reflective checklist and brief learning plan to make afterwards. In promoting autonomy, we want students to take charge of their learning (Holec, 1981) by choosing to do as much or as little of it as they feel they need. However, they are encouraged to reflect on their speaking in some way. Reflecting and taking necessary action based on it can help them develop as autonomous learners (Benson, 2011). Through these visits, we were able to see many possible outcomes for the center. Observing features such as the Speaking Program in practice, and then having the luxury of sitting down with the director or manager to ask how the programs evolved and the rationale behind them, provided us with a range of perspectives. We were also able to see practical operational elements of centers that we could realistically implement immediately. Many of these programs and operational techniques are emphasized in the sections that follow. As we visited established centers, we noticed a trend where each one had had resources and services already in place when the SAC opened. The space containing the CLIP was unique in that we did not have anything. After looking at the space and questioning the intended purpose of the original layout (Tweed & Yamaguchi, 2017), we came to the conclusion that there had not been any conscious effort to instill SALL. Therefore, our first objective was to rearrange the furniture to transform it into an active learning space, where each section had a clear purpose (Higgins, Hall, Wall, Woolner, & McCaughey, 2005). One of our goals was to emphasize learning through social interaction (Murray, Fujishima, & Uzuka, 2014) and have clear areas for communication (Riley, 1993). Our familiarity with the KUIS English Language Institute lounge (Kanda University of International Studies, n.d.; Rose & Elliott, 2010) led us to designate the sofas as a free conversation area. We placed two sets of sofas on opposite sides of the small space. One was designated as an English speaking zone, and the other for international languages (anything other than Japanese, except in the case of international students). We exist to serve all students, and other languages (such as Chinese, Korean, Spanish, and French) are offered on campus. There are also a handful of international students (from countries such as China, Vietnam, New Zealand, and Fiji), who are learning Japanese. While we encourage the use of English (and other foreign languages) on the sofas and elsewhere in the CLIP, an English-only policy is not enforced. We recognize that language policy is a complex issue for SACs, ours included, and see the merits of strict enforcement. However, we have presently settled on a translanguaging approach. Translanguaging is a bilingual discourse practice, where speakers use both their mother tongue and the target language (TL) in normal communication (García, 2009). García lists numerous examples of ways this occurs naturally among children in bilingual classrooms. Adamson and Fujimoto-Adamson (2012) discuss the benefits of not having a strict language policy in order for translanguaging to occur in natural situations in a SAC. They found it to lead to positive attitudes, thereby informing language policy. Likewise, we want our students to be free to develop as learners without the constraints or pressure of only using the TL. Wei (2018) emphasizes the importance of reappropriation of English to form new meanings for communication. Speakers may repurpose (or simplify) a word, further strengthening the fluidity of understanding. In the CLIP, where international communication is our main goal, TL strategies such as these are widely accepted. Another factor is that a large percentage of our users might not have the ability to converse only in English. We want to welcome, rather than scare them away, so we are lenient in terms of which language is spoken in our SAC. Some of Thornton’s (2018) respondents to a survey on language policy in their centers had similar views regarding the language students use. In addition to the sofas, we also created an Appointment Center with a dual purpose. We envisioned it being used for speaking practice in a similar way to the KUIS Practice Center (see Moore & Thornton, 2011) and also for language learning advising. We thought carefully about the name because we felt that the function of this space might change over time, and we desired flexibility in the future. While our eventual goal is to use it primarily for language learning advising, our ability to do so is presently limited. Kato and Mynard (2015) list arguments for advising in the mother tongue, and in our case, we feel that the vast majority of our students’ English is too low to accurately express themselves or explain their thinking in the TL. Neither of us is proficient enough in Japanese to conduct advising in that language, and we do not currently have any bilingual advisors. We have attempted to address this shortcoming by making bilingual advising resources, such as strategy pamphlets (e.g. speaking strategies, etc.) that we share with students who might benefit from them. We have also occasionally been able to use basic advising strategies (Kato & Mynard, 2015) with a few of the more proficient speakers. In addition, we can envision future possibilities in advising international students who are studying Japanese. At present, the Appointment Center is being utilized for speaking practice and/or the Speaking Program. As mentioned earlier, the CLIP was initially used as a lobby, where students ate, slept, and caught up on their mobile devices. As a result, we found ourselves in a position to reach out to users who may not have actively sought out our services, but who could greatly benefit from trying something new. For example, during our free talk times, we often approached students who were playing UNO or Jenga, introduced the English rules we had made, and joined their game, enhancing the challenge for an optimal experience (Csikszentmihalyi, 2014). When designing our resources, we carefully scaffolded (Donato, 1994), adding English into familiar tasks to help alleviate any student learning anxieties. This transformed language learning into a game with ever changing rules maintained by the participants (Salen & Zimmerman, 2004). One challenge that arose involves enforcing a culture for a space. To understand what our students may be feeling, imagine entering a coffee house to relax only to find yourself invited to study with strangers. This is why we have been working to transform the space into a clearly marked SAC, as well as promoting student ownership (Rapoport, 1982). One element that we have been sensitive to from day one is to allow for student authorship of the space. With this in mind, we put a user comment box at the entrance, but it has yielded few submissions. We are currently finding a balance between facilitation of suggested activities (by us or faculty members) that can be done in the CLIP, while also keeping an open ear for what students would like to see. For example, we would like to encourage users to practice speaking in English on the sofas. However, if students propose a different function for the space, we are open to fitting their needs. A questionnaire completed by students might alleviate our concern and help to ensure that they have a voice in the process. As the CLIP continued to take shape as a SAC, we felt the need to conduct more outreach to the student body to share our vision of the space. Furthermore, research has shown that in order to be successful, a center needs to have some type of learner training (Gremmo & Riley, 1995). Therefore, like many other SACs, we decided to hold student orientations. We borrowed the idea of using a treasure hunt activity from one center we visited. It consists of a self-guided tour, where students follow a map to discover our various resources and services. We developed and piloted it in the latter half of the year, and we are set to carry out the activity jointly with the university library in the upcoming semester (Spring 2018) with first year seminar classes. Sessions will last 30 minutes, and each class will complete the CLIP and library orientations successively. Our partnership with the library will be discussed further below. Another way we aimed to promote student ownership was through leading a student club, which we were able to form early in April, even before there was any semblance of a SAC. The three founding members had just returned from studying abroad and were eager to maintain their English skills. As soon as we began meeting regularly, our liaison assisted with the necessary steps to transform the group into an officially recognized student club. The club has completed several projects, two of which are/were on display in the CLIP: teacher profiles (of the two of us) created from interviews, and a words of the week board (only during the spring semester because the students chose not to continue it in the fall). The club applied for and received a grant from the school alumni association, and members manned a table at the student festival. Every center we visited had student staff members, and they were a vital part of each SAC. While there was no budget set aside to hire any student staff in our first year, we felt this to be one of the best ways of promoting student ownership because we want students to be involved in both designing and running the CLIP. Therefore, we made it our number one goal for year two. To that end, our main focus during fall semester SAC visits was to learn as much as we could from managers, such as procedures for hiring and training, working hours, and responsibilities. We also spoke with some student staff members at other centers to gain their perspectives and advice for those who might fill this post in the future. Gardner and Miller (1999) list roles student staff members might take, and both this list and our research help to paint a very clear picture of how we might utilize students in this type of position. When beginning our new job, we arrived with the goal of establishing ourselves at the university and promoting English study. However, it seemed from the beginning that neither students (as described above) nor faculty knew of our role. To this end, we aimed to increase our visibility on campus in different ways. The first step was to meet with as many groups as possible to explain our purpose. Interpersonal contact and exposure are extremely important, and we felt a much greater sense of accomplishment from face-to-face meetings than communicating through emails. We want the CLIP to be what Bovaird (2007) calls a coproduction. Coproduced projects seek out input from multiple stakeholders and allow the center to be multi-purposed in response to said input. By meeting in person, we were able to gain input and feedback from the university community, which would not have occurred had we simply announced our plans. Our university liaison helped to coordinate with the deans of the different departments, affording us the opportunity to present background information about self-access, our goals for the center, and ways we plan to serve the university. We wanted them to be aware of what we were doing, as well as be able to answer any questions their faculty members might have or know they could direct them to us. In the same way, we reached out to the English instructors’ group (there is no formal department) so they would understand that we were brought on to support students and the university community as an additional resource, and in no way are competing with their vital role. We had heard from a colleague that the group was not consulted when the CLIP was planned and that some might feel uneasy towards the center as a result. Therefore, we immediately felt the need to let them know we are here to help. We shared our mission statement and asked what we could do to support them. We also wanted to encourage them to direct their students to our services and resources. We took leading roles in two different campus-wide programs. First, five American students from Southern Oregon University in the US made their second yearly visit to our campus in June. (There is a partnership between the two schools, and our students are encouraged to apply to study abroad there.) The American students come primarily for international exchange and to learn about Japanese culture and university life. The various activities help to break down barriers, and students become more accepting of differences between people (Fiske, Cuddy, Glick, & Xu, 2002). On our end, we helped a group of student volunteers prepare for the visit by assisting them with written and spoken English (speeches, campus tour, small talk conversation practice, etc. ), and the CLIP hosted some of the events. The student volunteers work closely with each other and the Center for International Study and Exchange to coordinate various facets of the program. In addition, the two of us designed and planned a bilingual treasure hunt that required cooperation between Japanese and American team members to successfully complete the tasks. Our goal in the design was for a mixed group of language learners to problem-solve a task (Kirkley, 2003) within the collective zone of proximal development (ZPD) (Vygotsky, 1978). Japanese participants in this activity included volunteers, as well as several students from our classes or others who had responded to a campus-wide announcement. In the fall semester, we were involved with helping eight members of the rugby team prepare to participate in a Japan International Cooperation Agency (JICA) program. They were going to Indonesia to teach about the sport in English. We first conducted a needs analysis survey to get to know our participants and to tailor fit the varying needs of the group (Long, 2005). We felt that they would not only need to teach rugby, but also speak informally about themselves and Japanese culture in English. Therefore, we decided that we would meet with them individually at the Appointment Center twice per week, and they would prepare a Speaking Program or other topic each time. We aimed to help them improve their English conversation skills, and more importantly, increase their confidence in speaking, thus aiding their self-efficacy towards the program (Bandura, 2001). As various departments around campus were involved in these two programs, faculty and staff were able to gain a better understanding of what the CLIP is and what we do. Another way we have built relationships is through collaborating with the university library. We are extremely lucky to have formed a positive working relationship with the staff there. As mentioned above, space and location have a great deal to do with what happens in a SAC (Murray, Fujishima, & Uzuka, 2014), and in this case, we are adjacent to the library. Being an open air space on the second floor, it is possible to physically see the front plaza (Learning Commons) and lending desk. With the openness and support of the library staff, the proximity of the two facilities has led to a budding partnership. The CLIP can offer new services and perhaps bring more users to the library, and the library has purchased resources and offered us a highly visible area in which to display them. Other SACs we have visited had both active learning spaces and quiet spaces. We felt this varied approach to be important to suiting multiple learning styles (Skehan, 1991). As the CLIP evolves, our space is shaping up to be the active learning space, while a small corner of the library’s Learning Commons is becoming our quiet space. For example, students can peruse graded readers or study for TOEIC in this area. Lacking enough materials and student staff to lend them out, this has occurred by necessity, but thanks to the librarians’ willingness and eagerness to collaborate, the future looks bright. Entering our second year, the CLIP has room to grow. Now that we have dug in our roots, we are ready to expand and establish different learning zones within the center, in the library, and perhaps elsewhere in the building. At the same time, we plan to make our current resources more user friendly with signage and diagrams to show levels and purpose. In addition, we are planning to design several one-off workshops that teachers can request we conduct with their class (e.g. mind maps, presentation skills, presentation slides, survival English, etc.). We are also looking at ways to expand digitally. We will have several iPads with active learning applications for students to try in the center and hopefully continue at their leisure (Kukulska-Hulme, 2013). One area of concern is how to keep the student club going. Finding three students who were interested in English got the CLIP off to such a positive start, and membership doubled by the end of the first semester. However, after the school festival in late October, the club seemed to fizzle out when members became busy with other obligations. We also found that maybe our concept did not match the students’ expectations. It seemed like they had wanted an exclusive English conversation time, whereas we had envisioned a more autonomous group, where we could gradually decrease our participation (and their reliance on teachers) and act more as facilitators. This would allow students to take charge of the club and its future direction (Akiyuki Sakai, personal communication, April 14, 2017). This is a key question mark for us, but we feel that a well-planned club can be worthwhile for students who want to take a step forward with English. We have recently learned that we will not be able to hire student staff for the next academic year, which had been our primary goal moving forward. We had wanted to be able to lend materials, as well as involve students more in running the center. While the university library will handle lending, thus solving one problem, we will need to find other ways to accomplish our aim of having students take a greater ownership of the center. We plan to shift our focus to encouraging and incentivizing a student volunteer program. We hope to recruit students to fill different peer-to-peer roles that we have witnessed at other SACs. Gardner and Miller (1999) provide examples of roles student volunteers might take, such as a buddy (mentor), which we will explore implementing. Finally, we are trying to make English learning into a more fashionable activity. Two ideas we plan to institute in the upcoming year include inviting Japanese-speaking professors to stop by to practice English and organizing conversation groups (both teacher-led and student-led). Some professors have spoken to us in English, and we feel that if students see their teacher or coach speaking English, they in turn will be more motivated to study the language. Additionally, we have observed student-led conversation groups at several other SACs, and we are intrigued by the possibility of starting a similar service. This would give student volunteers an important role in the CLIP, while simultaneously allowing users to have a greater degree of ownership in day-to-day activities. We have been very lucky with the small team that we are a part of and the administrative support we have received. Our admin, Suzune Suga, is wonderful in taking initiative and often does things two days before either of us realizes they need to be done. In addition, our liaison, Mieko Nakamura, has always been open to our opinions and is supportive in communicating with university administration on our behalf. We would also like to thank members of the JASAL community for their willingness to share their work with others. This helped us go from nothing to something in a very short time. We wish to express our sincere gratitude to all the directors, managers, advisors, and student staff who allowed us to tour their facilities, take photos, and took the time to sit down with us and answer our many questions. Robert J. Werner is a lecturer and advisor at Ryutsu Keizai University, Japan. He holds an MA in TESOL from Teachers College Columbia University, New York, and he has teaching experience in EFL/ESL and social studies at elementary, secondary, and postsecondary institutions in Japan and the United States. His research interests include learner autonomy, motivation, metacognitive awareness, and CALL. Lucius Von Joo is a lecturer and advisor at Ryutsu Keizai University. He holds an EdM in Comparative and International Education and has teaching experience in deaf education, elementary education and EFL/ESL in California, Japan, and New York. His research interests include cultural anthropology, social neuroscience, CALL, film and documentary content based learning, media studies, and video-cued multivocal ethnography. Csikszentmihalyi, M. (2014). Toward a psychology of optimal experience. In M. Csikszentmihalyi (Ed. ), Flow and the foundations of positive psychology: The collected works of Mihaly Csikszentmihalyi (pp. 209-226). Dordrecht, Netherlands: Springer. Deci, E. L., & Ryan, R. M. (1985). Intrinsic motivation and self-determination in human behavior. New York, NY: Springer. Donato, R. (1994). Collective scaffolding in second language learning. In J. P. Lantolf & G. Appel (Eds. ), Vygotskian approaches to second language research (pp. 33-56). Norwood, NJ: Ablex. García, O. (2009). Bilingual education in the 21st century: A global perspective. Chichester, UK: Wiley-Blackwell. Long, M. (2005). Overview: A rationale for needs analysis and needs analysis research. In M. Long (Ed. ), Second language needs analysis (pp. 1-16). Cambridge, UK: Cambridge University Press. Rapoport, A. (1982). The meaning of the built environment: A nonverbal communication approach. Tucson, AZ: University of Arizona Press. Riley, P. (1993). Notes on the design of self-access systems. Mélanges Pédagogiques, 22, 105-121. Tweed, A., & Yamaguchi, A. (2017). Impacting student use in self access centers through learning environment design. Independence, 70, 22-27.